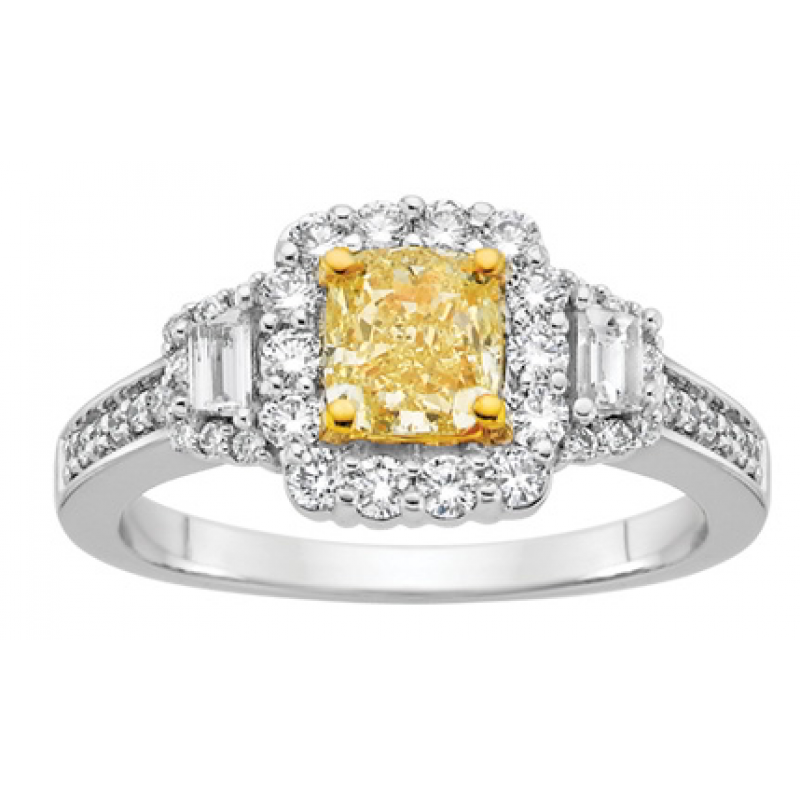 1 carat natural fancy yellow cushion cut center . 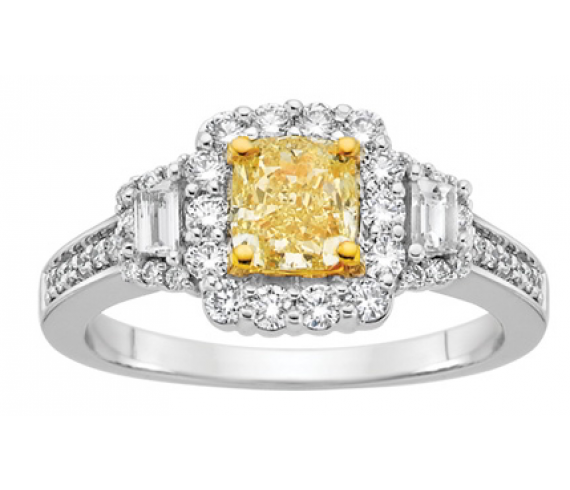 Diamond with a halo of round white Diamonds. .